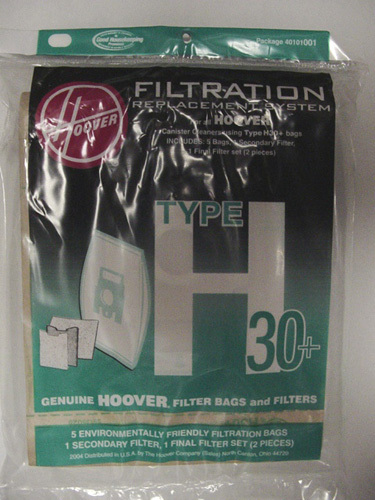 For all Hoover Canister cleaners using Type H30+ bags. Includes 5 bags, 1 secondary filter, and 1 final filter set (2 pieces). It is recommended that all three filters be replaced after every 5 vacuum bags. These filters, 1 secondary and 1 final filter set (2 pieces), combine with the filter bag to create a 7 layer filtration system for your canister vacuum.